As you shop for roll-off containers and dumpster rentals in Greenville, MI, there are several factors to consider. In addition to determining the right size dumpster you need for your project, you also need to consider where you’re going to place your disposal unit. Keep reading to learn more about placing your dumpster rental in the proper location from Fair Waste Services. 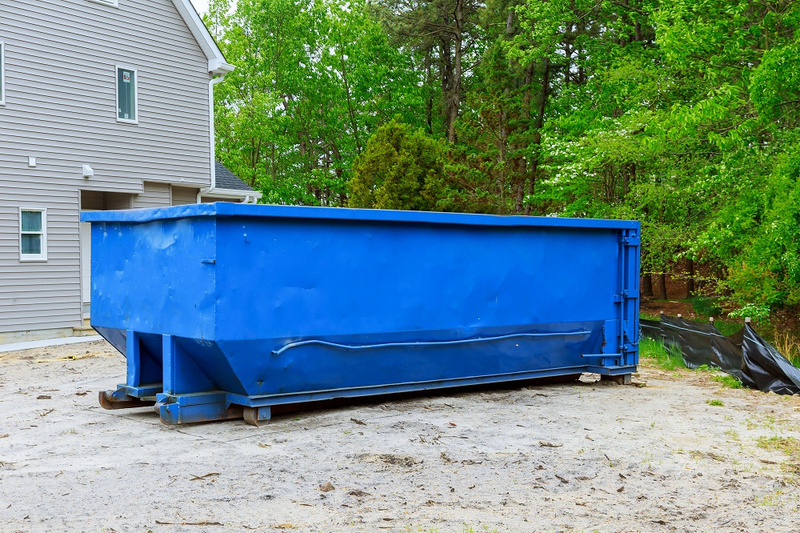 Before finalizing your dumpster rental, consider the layout of your job site. You need enough room for both the dumpster as well as the truck that will deliver it. The delivery driver will need plenty of room to maneuver your rental into position. If you live on a narrow lot and your job site is behind your home, this can be problematic. Is there enough room on the side of your home for a truck and dumpster to maneuver around it? Are there trees, bushes, or other structures blocking the pathway to your job site? If so, you may have to consider another location for the container. You also have to consider overhead space. As your dumpster is offloaded from the delivery truck, the bed of the truck tilts upwards to allow the dumpster to roll into place. Tree branches and power lines will impede the delivery driver’s ability to perform a roll-off procedure. If they don’t have the vertical clearance to raise the flatbed, consider another site away from low tree branches and power lines. If your container rental has a swinging side door, make sure you have enough room to open it. A general rule of thumb when determining the size of your dumpster area is to multiply the area of your container by three. This is the amount of room you will need for a dumpster placement site. The final placement site for your dumpster should also have adequate ground support. Asphalt is preferred when it comes to dumpster support so long as the area is level and free of potholes. If you’re going to place your dumpster on the street, make sure you have clearance and any necessary permits from your local authorities. Driveways are another good place for a dumpster depending on the weight capacity of the container. A large dumpster with a heavier capacity could damage older driveways causing them to crack under the load. Driveways with decorative pavers are not recommended because the weight is placed on individual bricks rather than a solid foundation. Asphalt and cement are both subject to weather conditions. Extreme heat and extreme cold can alter the hardness of these man-made materials. Grass, dirt, and gravel can be more challenging because of the lack of grip. As you fill your dumpster, the weight will cause it to sink into the earth. It'll be more difficult for the driver picking up the dumpster to remove a heavy dumpster if the truck tire can’t get a firm grip on the ground. 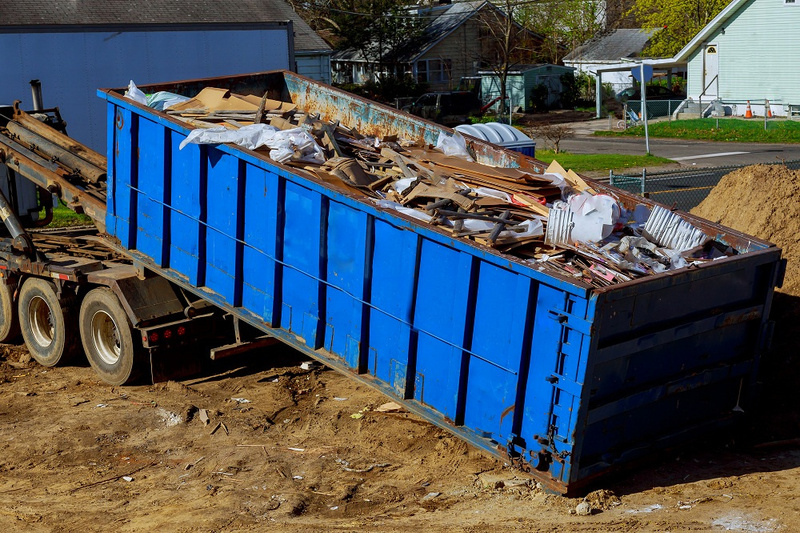 You could be forced to unload some of your debris into a smaller dumpster which will drive up the costs of your construction project. For this reason, asphalt is the best foundation for your dumpster rental. For more tips on where to place a trash dumpster in Greenville, MI, contact the waste management experts at Fair Waste Services.